Jaime Read is something of an unsung UK legend. An original, unique producer who has been making noise in the underground in his own way, emanating from the South coast of England, since the mid 90's. 'Relief Sevensixty' is a collection of Read's rarer tracks that have appeared in a roundabout way, on a legendary Chicago label in a tale that has by now been widely documented. But that's a story for another time. The real focus here is the music, of course. Across 4 tracks this EP shows what a dynamic producer Read is, the music contained within has a depth and maturity and of course it's some funky as, futuristic, space Techno that sounds like it's just escaped the warp drive and landed here on earth and implanted itself in our eardrums. From the joyous, glorious, electronic funk of 'Douch Me' to the curiously monikered piano driven, subterranean stormer 'Droopy Dancing' the whole EP captures a real insight to a remarkable UK talent operating from under the radar. 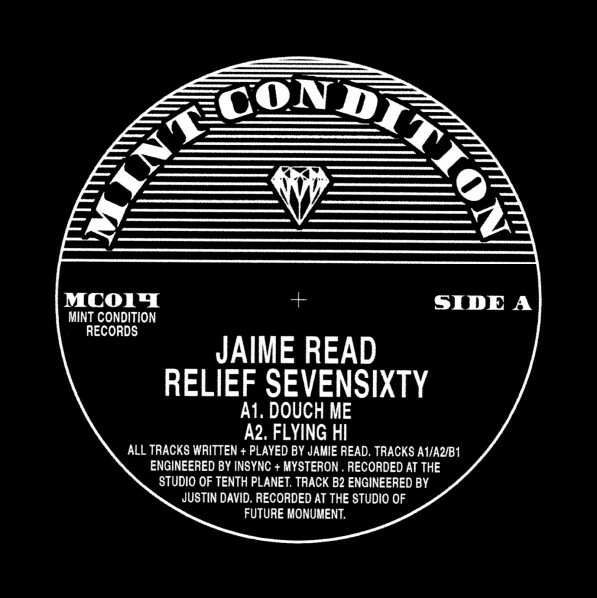 'Relief Sevensixty' is the first part of a 2 EP set covering Jaime Read's amazing music. Keep your eyes open for the second installment, winging it's way to us through the cosmos as we speak.... soon come! 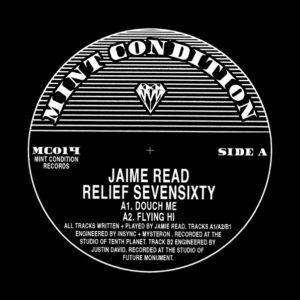 The 'Relief Sevensixty' EP has been legitimately released with the full involvement of Jaime Read for 2017 and remastered by London's Curve Pusher from the original sources especially for Mint Condition. 100% legit, licensed and released. Dug, remastered, repackaged and brought to you by the caring folks at your new favourite reissue label - Mint Condition!